I grew up eating fish and shellfish. And I LOVE IT ALL (something to know about me... if it gets in the water, I will eat it). We lived near the Congaree River and spent most weekends fishing for and eating bream, rockfish, catfish, etc. We vacationed at the Chesapeake Bay (where my mom’s from) and Edisto Island, SC during the summer and spent weeks at a time crabbing for and eating blue crabs. We lived close enough to the coast to be able by buy fresh shrimp off the backs of pick-up trucks bringing in their haul through our neck of the woods. I tell you all this because since I've been married to my mainland, white bread, meat & potato eating Canadian husband, I don’t cook (and therefore eat) fish and shellfish much anymore. I recently discovered that my Brutus loves it like I do. Now, every time we go out to eat, the first thing he asks is if they have fish and shrimp. Most kids love McDonald’s, my Brutus loves Captain D’s. Since Husband spent the entire weekend golfing, I decided to load the onions up and spend some time with my folks this weekend. 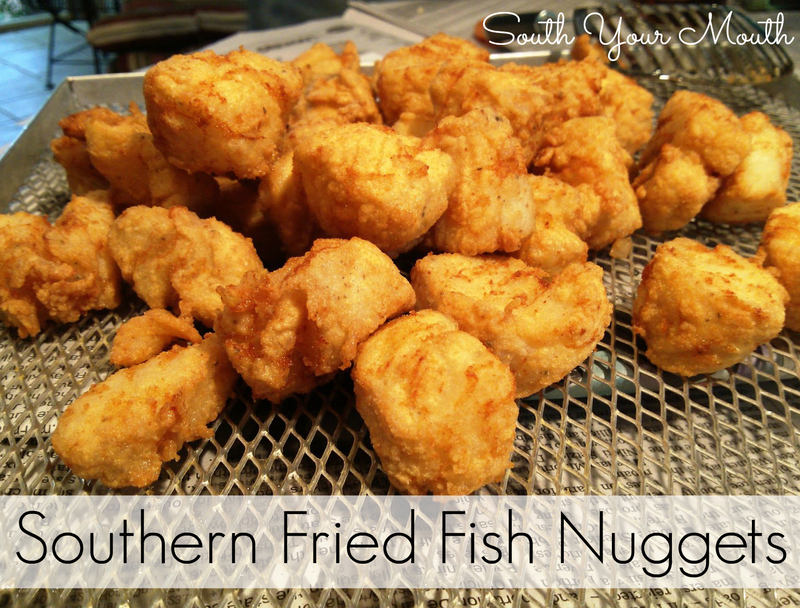 Yesterday, we cranked up the gas stove and cast iron pot on the screened porch and went to town frying fish and shrimp. Brutus had “fish nuggets” on our Disney vacation and hasn't stopped talking about them since so we decided to cut our fillets into “nuggets” just for Brutus. EARTH-SHATTERING SCIENTIFIC DATA: KIDS LOVE NUGGETS. ...We have two awesome seafood breaders readily available in my neck of the woods that are amazeballs... one from House of Autry and one from Adluh. But I've learned writing this blog that you guys don't always have access to the same things I do so I decided I would try to create a recipe for a fish fry that you could make. And just in case the Zombie Apocalypse knocks out my two favorite mills, I'll have a backup plan for frying fish. There was really only one flavor that I was sure about, and that was onion powder. I've picked up on that for sure over the years but I wasn't really sure what else was in there. I took a glance at the House of Autry Seafood Breader package and the only spice/flavor/herb/seasoning mentioned at all was.... ta-da.... onion powder. All Daddy does is lightly dust the fish in seafood breader and plop it in some hot oil. I soak mine in buttermilk and hot sauce first but since that’s not how these were cooked, I’m sticking with how Daddy did it. Heat a minimum of 4 inches of oil in a deep skillet or wide pan to 350 degrees (medium-high heat). Lightly salt the fish nuggets. 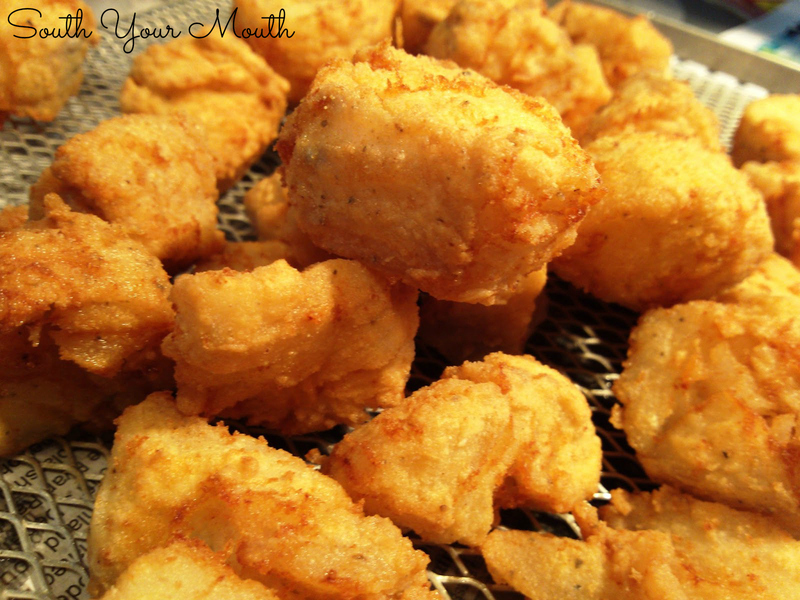 Add fish nuggets and seafood breader to a large, lidded plastic container or brown paper bag and shake to coat. Shaking off excess breader, add fish to hot oil and cook until golden brown. Remove to a cooling rack or pan lined with paper towels. Mix all ingredients and store in an airtight container. Use for frying fish or shellfish. *If using self-rising cornmeal, increase amount to 2 cups and omit flour. My very young grands love chicken nuggets. I'm gonna try catfish nuggets and see what they think. Sounds delicious and so easy. Thanx so much for this breading mixture! Thanks for the recipe. Do you know how many people this recipe will feed? 2 pounds of fillets should feed about 6-8 people.